MCH Konsulting is pleased to offer combined HAZOP with IEC61508 assessment software on a central server facility within your company. The server based system uses standard server hardware and TCP/IP ethernet communications to seamlessly integrate into your business network. User interaction with the system is through a standard browser (Mozilla Firefox is recommended). 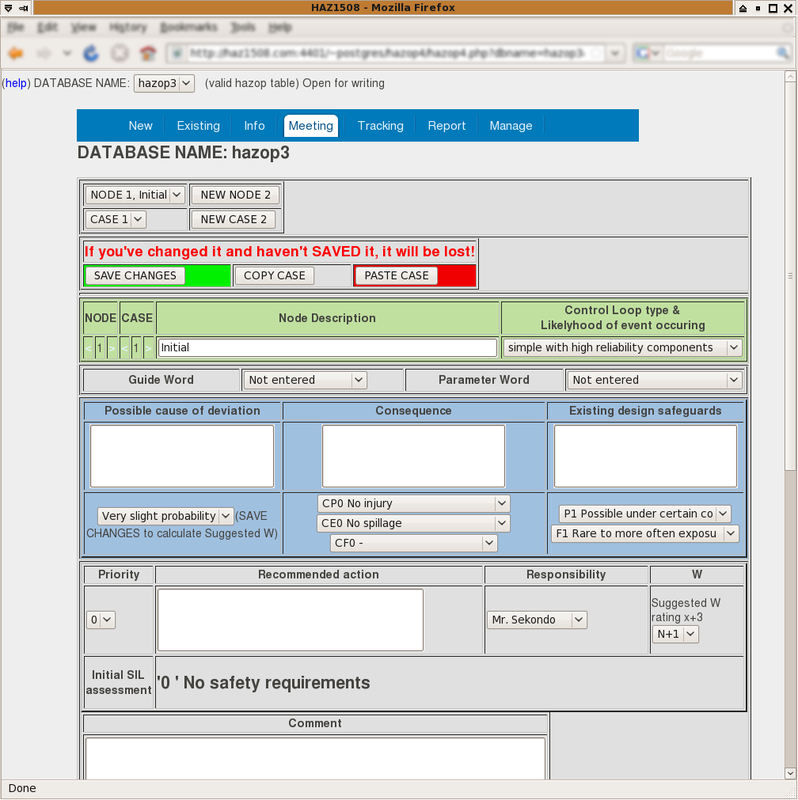 For each HAZOP an SQL database is created which is built up during the HAZOP meeting. Estimated SIL assessments are made automatically. A final report is made, and action tracking is included. For those who do not wish to have a permanently installed server we have an online service available at haz1508.com. You can puchase time on an exclusive instance on our server. A live demonstration is available at this address. For small users HAZ1508 is also available for single-user PC systems and laptops running on either Microsoft Windows or Linux. Page updated 2019-01-15 09:47:51 by Frank McNamara (public_keys) .